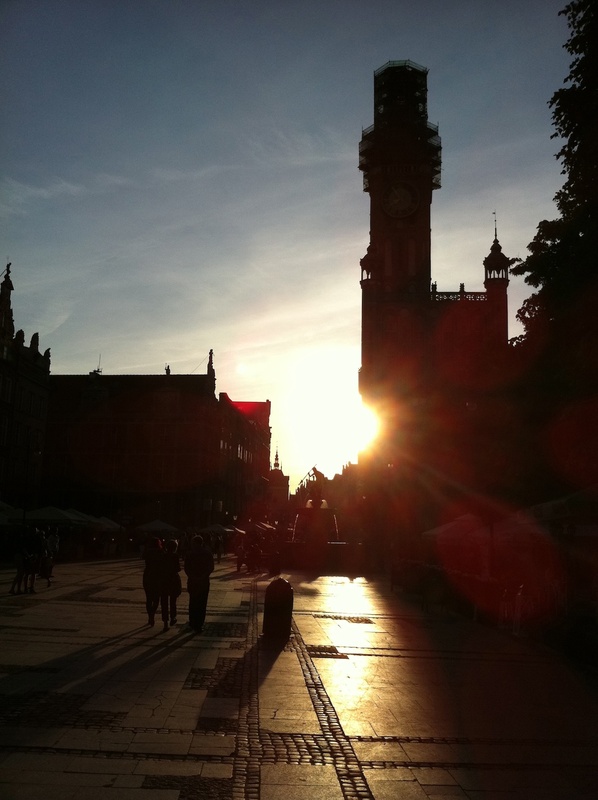 Gdansk was a strange place. 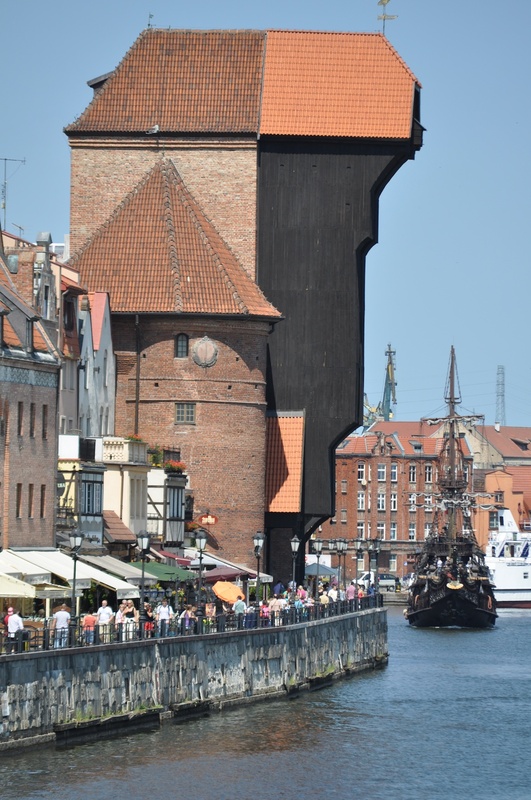 The city that my family lived in was Danzig and completely German in character but the city we visited was totally Polish and now called Gdansk. Yet the two places, in other respects, were identical – same streets, same houses. It is this schizophrenia that Gunter Grass explores in Tin Drum where Oskar seemingly has both Polish and German fathers, is both old and young and has a weird talent – his scream – that is also devastatingly destructive. 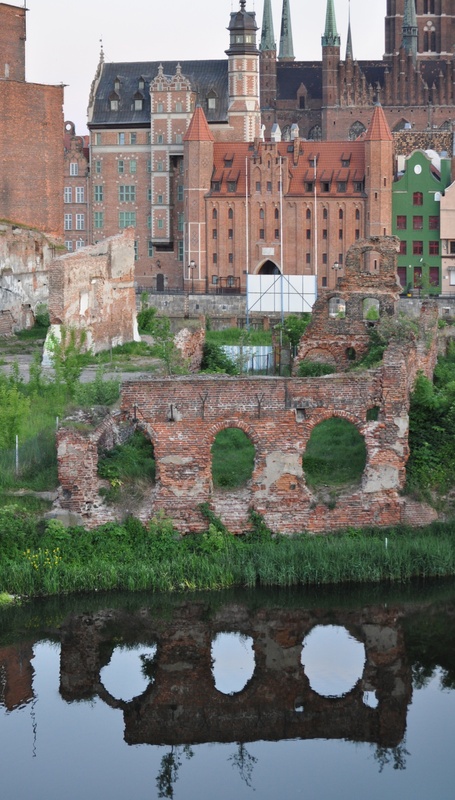 Danzig – Gdansk is the place that sparked the second world war and brought about the end of communism. Not bad for a Free City independent of any nation state. 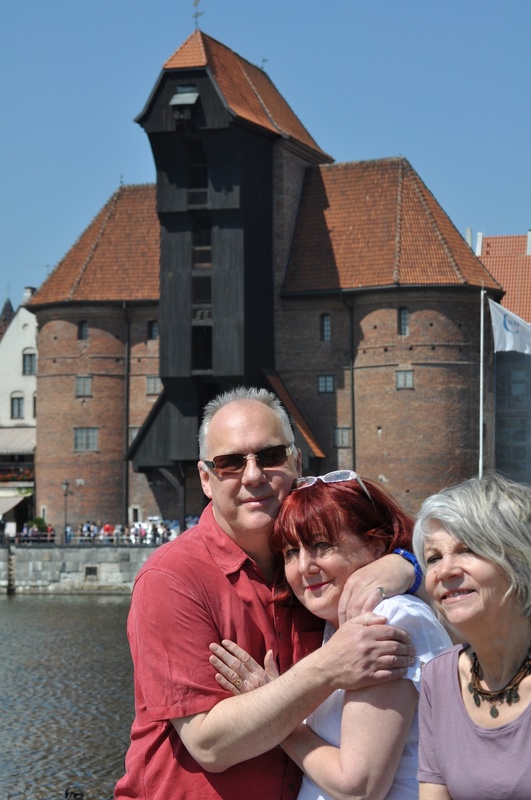 We stayed with Ray and Di in the Hotel Gdansk housed in one of the old granaries on the other side of the Mottlawa from the Great Crane. The city was a mixture of bomb sites and meticulously restored buildings. Tourism seems to have replaced shipbuilding whilst the boats that filled the harbours are now yachts rather than grain ships. The future looks towards a St. Tropez of the Baltic. Whilst we had a great time exploring, eating and drinking and talking I also tried to find out where my grandparents lived. 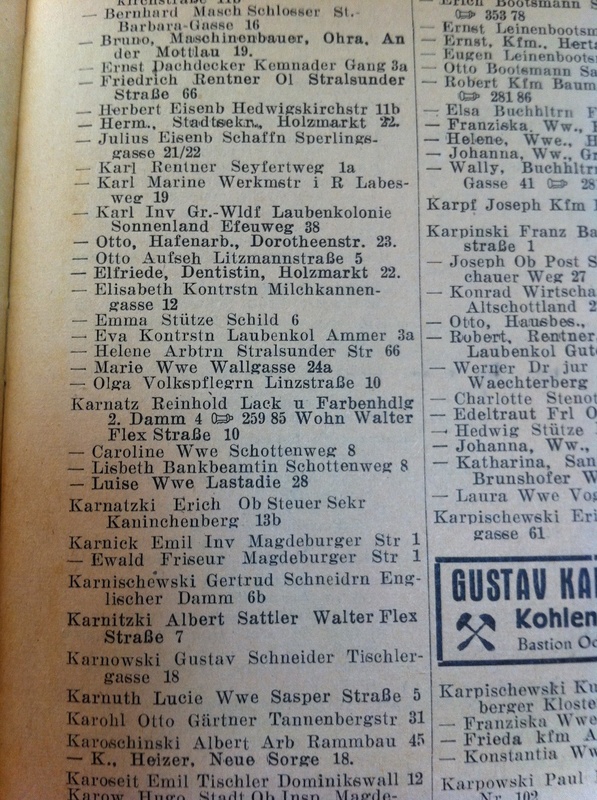 By chance we came upon a collection of documents in a small museum devoted the Free State of Danzig and there I discovered an address book which had an entry for Erich Karnatzki! 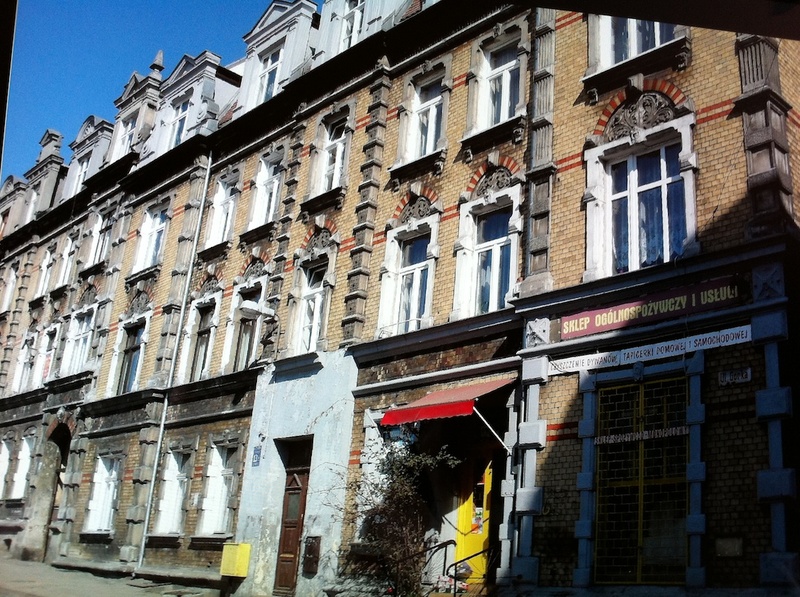 More sleuthing and googling gave me a German address which I was able to find on an old map and, to my surprise, their home which is still standing – albeit having seen better days. Kaninchenberg means rabbit mountain and it’s Polish name, Gorka, also means hill. Curiously, my grandfather was a tax inspector even then. More photos are in My Gallery and my diary in my Travel blog. 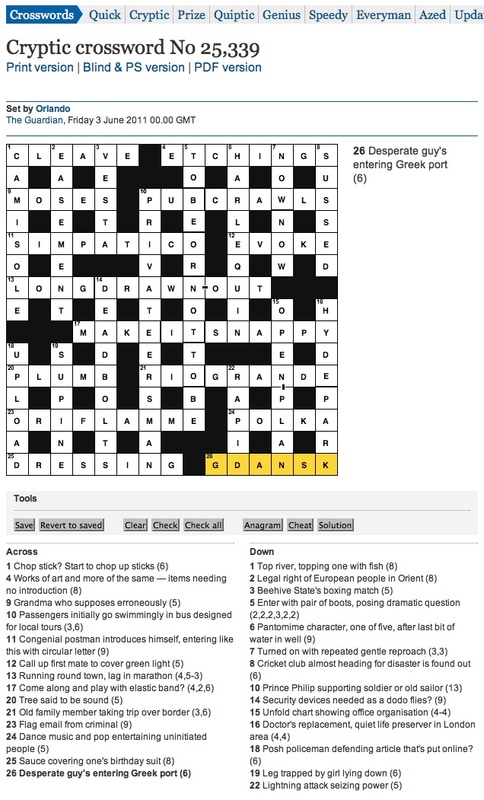 Oddly enough, the Guardian crossword had an interesting entry for 26 across whilst we were in Gdansk.